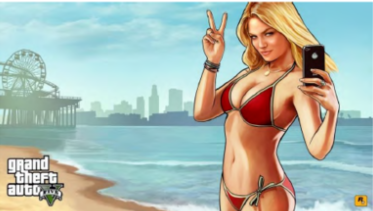 In the closely-watched case, the court found that the unauthorized use of one’s likeness in a video game may potentially give rise to a claim under New York’s privacy law, but found that the disputed character in Grand Theft Auto V did not sufficiently resemble Lohan to support a claim. Because, in the court's view, there was no recognizable use of Lohan’s likeness in the game, the court dismissed Lohan’s suit. Under New York Civil Rights Law §§ 50 and 51, the unauthorized use of a person’s “name, portrait, picture, or voice” for “advertising purposes or for the purposes of trade” is a violation of the person’s privacy rights. 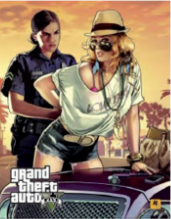 In her lawsuit, Lohan alleged that the video game developer, Take-Two Interactive Software, Inc., along with subsidiary Rockstar Games, used her “portrait” for trade purposes without her authorization in Grand Theft Auto V, which is set in a fictional city intended to evoke Los Angeles. She sought monetary damages. During three rounds of litigation, the courts wrestled with two important questions. First, whether an avatar (i.e., a graphical representation of a person in a video game or similar media) is a “portrait” under New York’s privacy law; and second, whether a video game is the type of commercial use prohibited by the law. In response to Lohan’s complaint, the video game developer moved to dismiss the complaint for failure to state a cause of action, arguing that creative works like video games cannot give rise to privacy or publicity claims and that the character was not based on Lohan. The trial court denied the developer’s motion to dismiss, concluding that whether the character was based on Lohan was a disputed question of fact making dismissal inappropriate. When appealed, the appellate court sided with the developers, holding that Lohan’s claims must fail because her voice, name, and image were not used in the game and, more importantly, because a video game is a work of fiction and satire and therefore not a prohibited commercial use. This case was then appealed to the New York Court of Appeals, the highest state court in New York, for the final decision. In a decision issued on March 29, 2018, the New York Court of Appeals concluded that an avatar does constitute a “portrait” within the meaning of the New York privacy law and could therefore give rise to a claim for invasion of privacy. Nevertheless, the court rejected Lohan’s claim because it concluded that the Lacey Jonas avatar in Grand Theft Auto V simply is not recognizable as Lohan. Rather, the court found that the avatar “merely is a generic artistic depiction of a ‘twenty something’ woman without any particular identifying characteristics.” The court noted that the “artistic renderings are indistinct, satirical representations of the style, look, and persona of a modern, beach-going young woman” that are “nothing more than cultural comment. Because it concluded that the Lacey Jonas character doesn’t sufficiently resemble Lohan to support her invasion of privacy claims, the court didn’t reach the broader question about whether a video game is the type of commercial use prohibited under New York privacy law. Thus, despite four years of litigation, Lohan’s case does not answer conclusively whether video games are works of fiction or satire and therefore outside of the scope of New York privacy law, and/or whether they are expressive works protected by the First Amendment. The ultimate dismissal of Lohan’s privacy claims should be welcome news for content creators, as it may help discourage similar lawsuits in the future. That said, the holding may have important implications for content creators, as it opens the door to claims that the unauthorized use of a graphical representation of a person’s likeness, like the use of a digital rendering of a famous person in a video game, could expose the creator to liability for invasion of privacy. In addition, other courts that have considered privacy and publicity rights in the video game context have held content creators liable for invasion of privacy or publicity rights when digital avatars are identical to or closely resemble real people. In those cases, the courts have generally acknowledged that video games are expressive or creative works entitled to some degree of First Amendment protection. Thus, so long as use of an individual’s likeness is transformative in some way, then courts generally have rejected privacy and publicity claims. See, e.g., Kirby v. Sega of America, Inc., 144 Cal.App.4th 47 (2006) (concluding that the video game developers did not infringe musician’s publicity rights under California law when use was transformative). On the other hand, courts have upheld privacy and publicity claims against video game developers where digital avatars are identical to or nearly identical to real people. See, e.g., Hart v. Electronic Arts, Inc., 717 F.3d 141 (3d Cir. 2013) (concluding that the video game developers' use of NCAA football players' likenesses infringed on players' publicity rights under New Jersey law when use was not transformative); and No Doubt v. Activision Publishing, Inc., 192 Cal.App.4th 1018 (2011) (concluding that video game developers' use of No Doubt’s likenesses infringed on the band’s publicity rights under California law when use was not transformative). At the end of the day, much uncertainty remains as to the scope of New York’s privacy law and to the extent to which the fictional or expressive nature of video games may help shield them against litigation. Additionally, much of this case turned upon the fact the court found that the Lacey character was simply not recognizable as Lohan. Bottom line? The best way to avoid litigation is, of course, to obtain consent of any individuals who will be depicted in a work like a video game. Absent that, the more transformative the use, meaning, for example, that the likeness has been altered in some way or otherwise has creative or social significance, the less risky it will be.